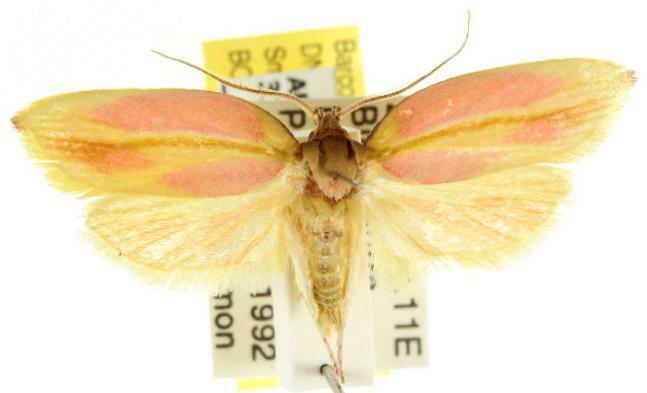 The adult moth has pink forewings, each with a broad yellow streak containing a narrow brown streak. The head, thorax, and abdomen are brown with some pink hairs. The hindwings are yellow suffused with pink. The moth has a wingspan of about 3 cms. CSIRO Publishing, Melbourne 1994, pp. 75, 82-84. Volume 70 (1946), p. 97, No. 1,913.